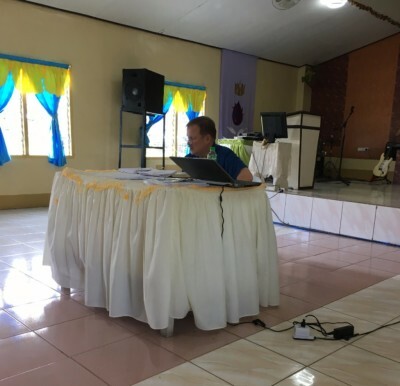 During the week of April 17-21, 2017, Wayne King taught at Leyte Bible School. The curriculum for that week was 1st Corinthians, which he taught to 18-20 students. On Easter Sunday, he preached at Tambulilid. On Sunday, April 23, 2017, he led a seminar for ministers and church leaders in the Tocloban area, with approximately 50 in attendance. This was the first attempt of this kind of seminar in Leyte. The seminar focused on four topics: Prayer - enhancing both personal prayer life and congregational prayer, planning for the future, how to work with new converts and delegating/working with voluteers. A fellowship meal and worship, including singing, rounded out the seminar.